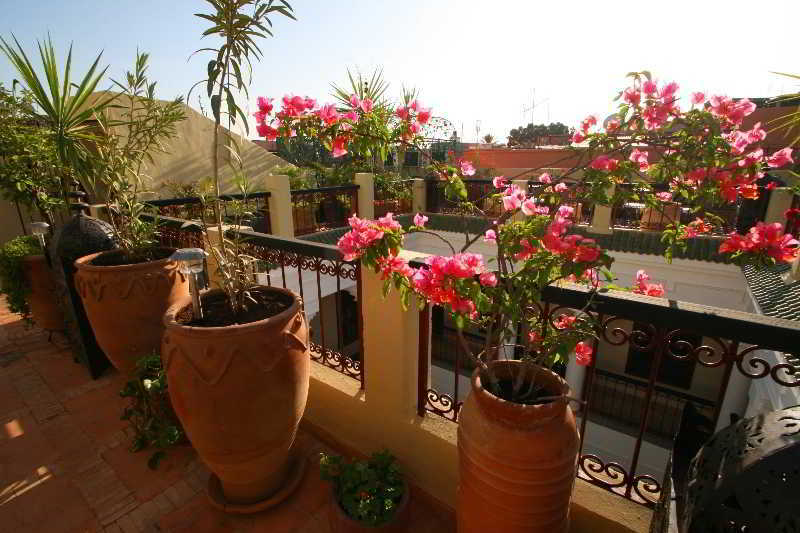 The hotel is nestled in the medina. 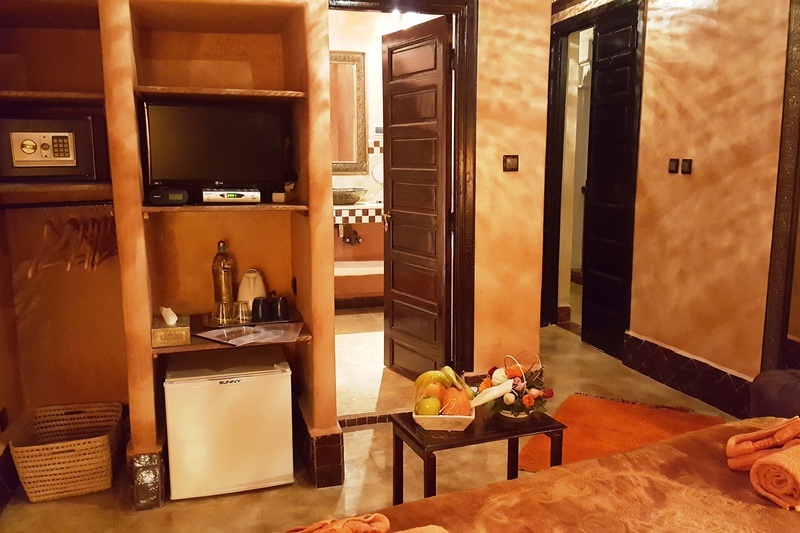 Situated between the avenue El Fetouaki and the mellah, near the most prestigious monuments, guests are within 400 m of the famous square Djamaa el Fna. 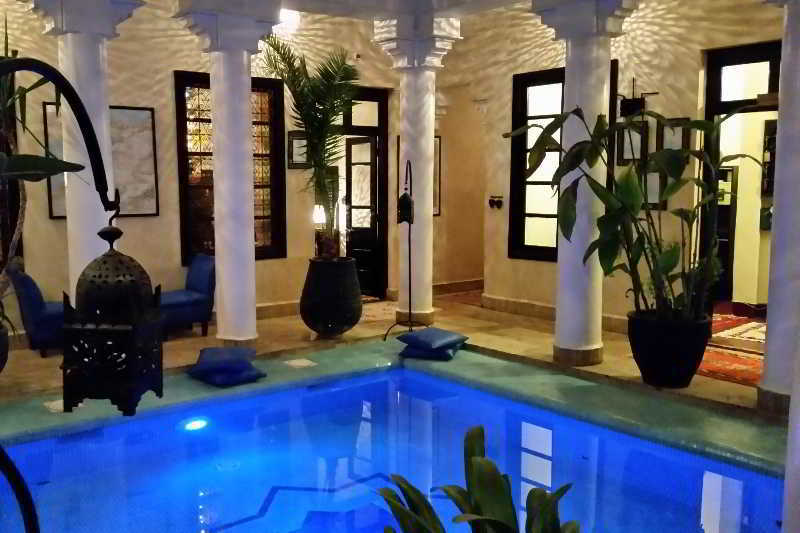 Guests can reach the bus and train stations by public transport in around 10 and 15 minutes respectively. 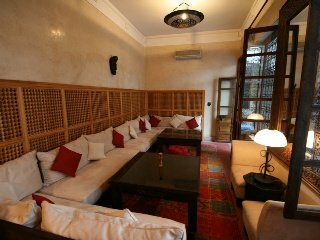 Menara International Airport of Marrakech is located approximately 5 km from the hotel.||The hotel comprises 7 rooms and 1 suite, lounges, terraces, a fountain, two fireplaces for cool evenings and a minibar with alcoholic beverages. 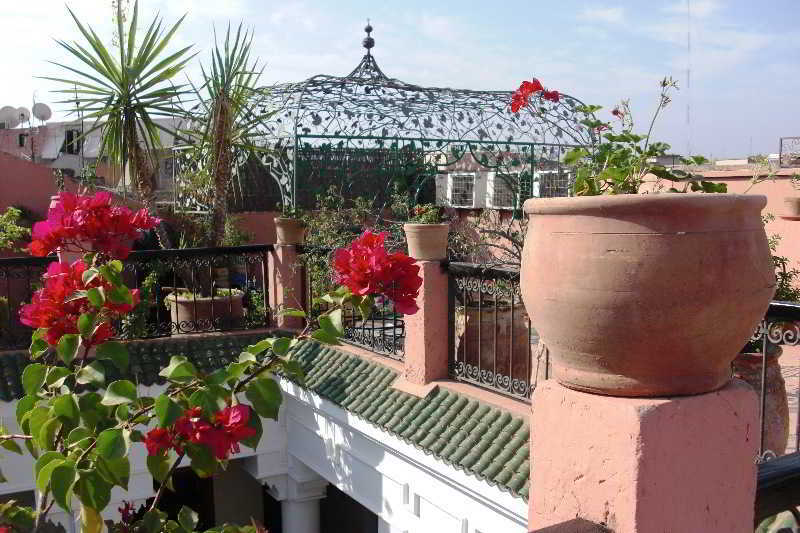 The terrace with a panoramic view enables guests to admire the Koutoubia Mosque and part of El Badi Palace. 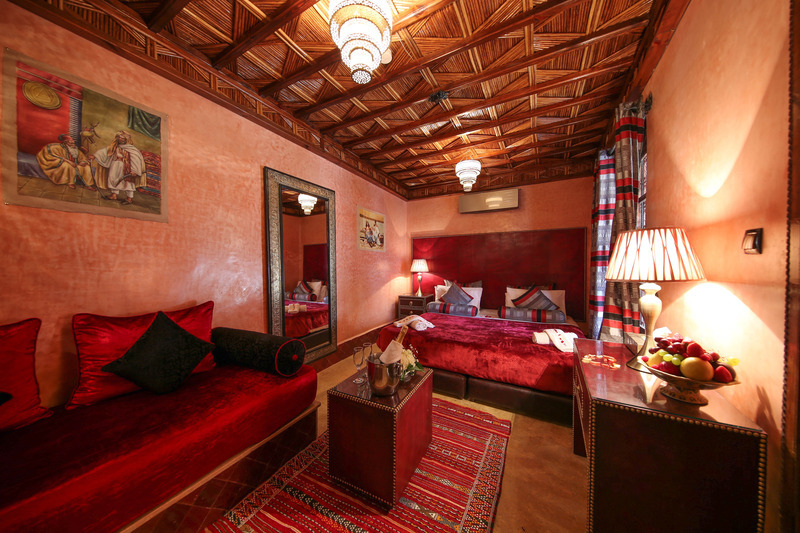 The hotel has been decorated with refinement, in keeping with Moroccan traditions. 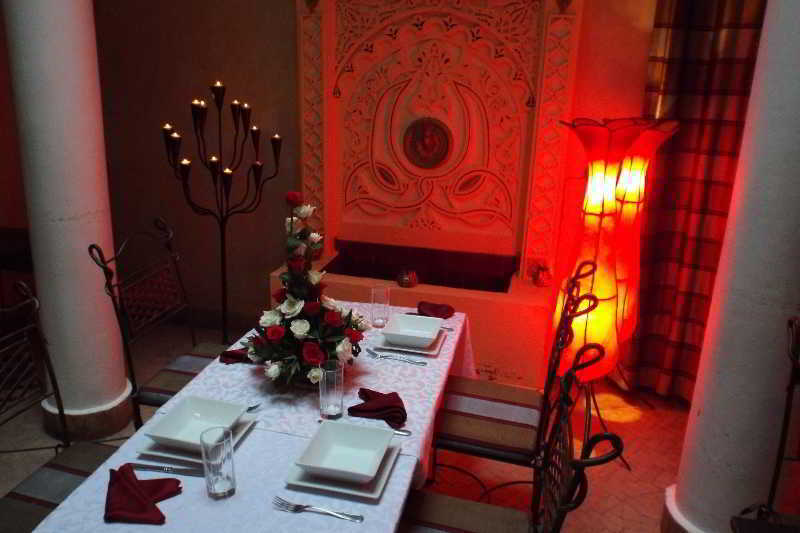 Guests are welcomed to the air-conditioned hotel in a lobby with 24-hour check-out service and hotel safe. 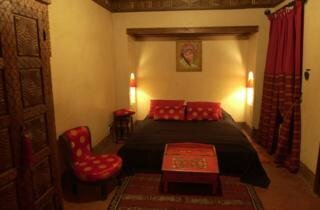 Guests are also provided with a TV lounge, restaurant, WLAN Internet access and room service (fees apply). 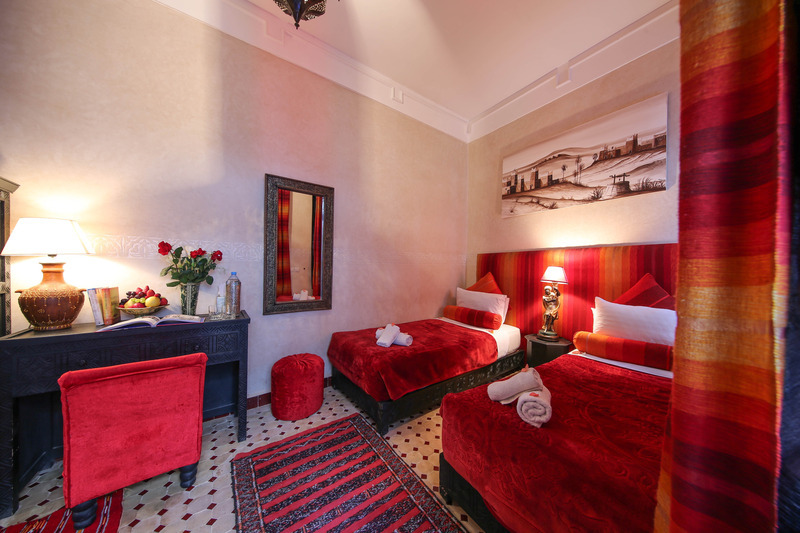 Secure parking is available 200 m from the hotel.||The rooms were decorated by local craftsmen and accommodate guests in a traditional and comfortable atmosphere. 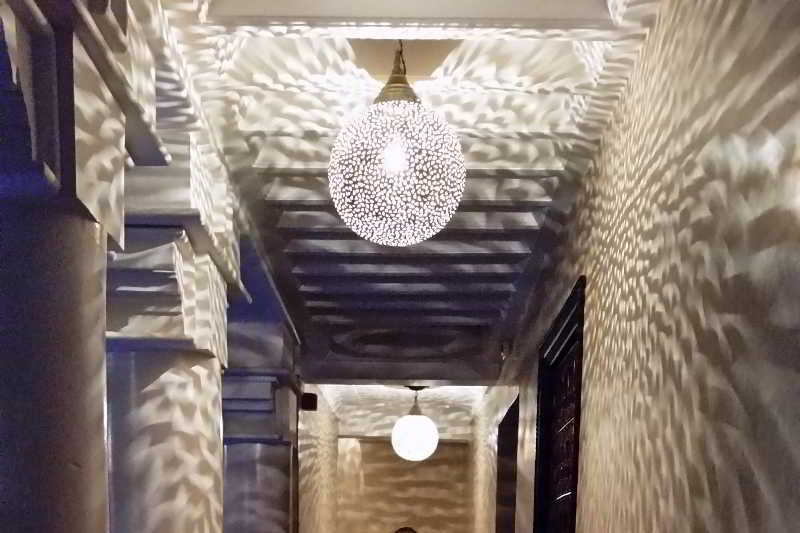 Particular attention has been paid to the creation of a specific and unique atmosphere in each room. 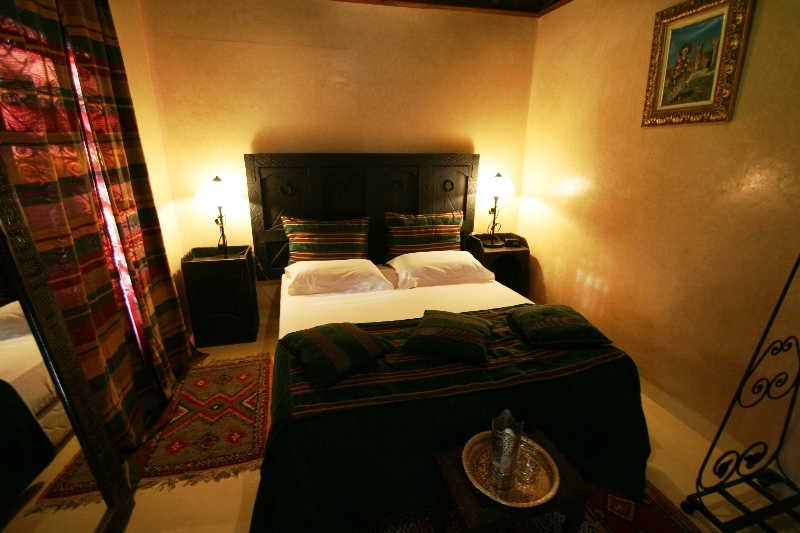 The rooms are en suite and equipped with shower, king-size bed, Internet access and individually regulated air conditioning and heating.||The hotel has a small indoor swimming pool (fees apply), a hammam, a relaxation room and massage treatments (fees apply). 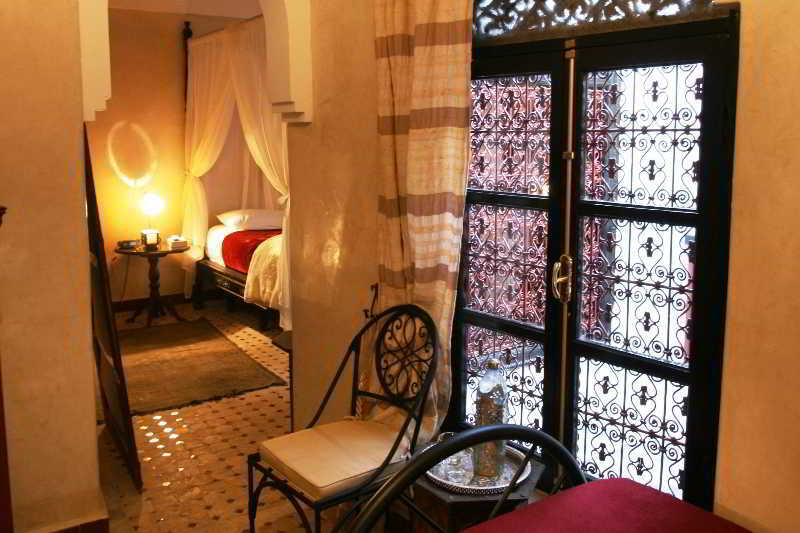 A steam room is available for a fee, and parasols have been laid out ready for use.||The hotel offers traditional Moroccan cuisine. 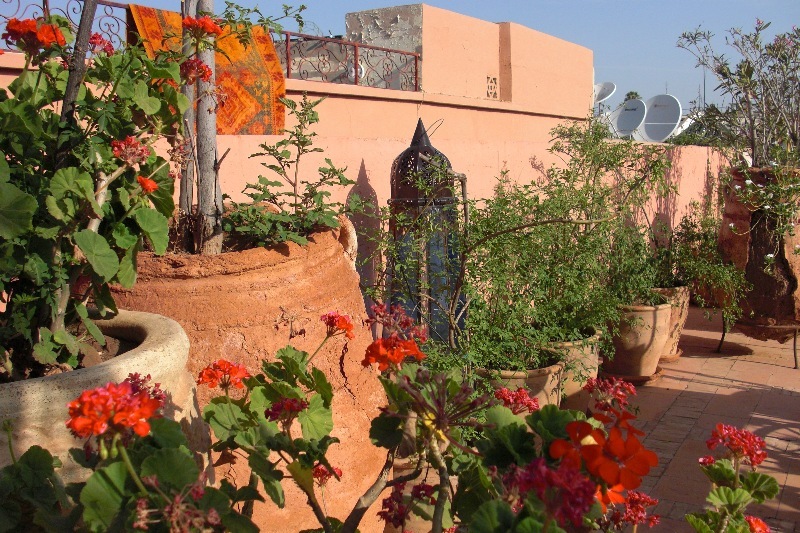 Guests can take their meals either in the lounge, on the patio or on the terrace.